Raijintek design and build a range of PC components, including power supplies, fans, cases and CPU coolers in both closed loop watercooling and aircooling. They’re still incredibly new to the scene, being founded in 2013. Raijintek seem keen to make the user aware of their “German design and Taiwanese manufacturing” suggesting some pride is involved in that partnership. 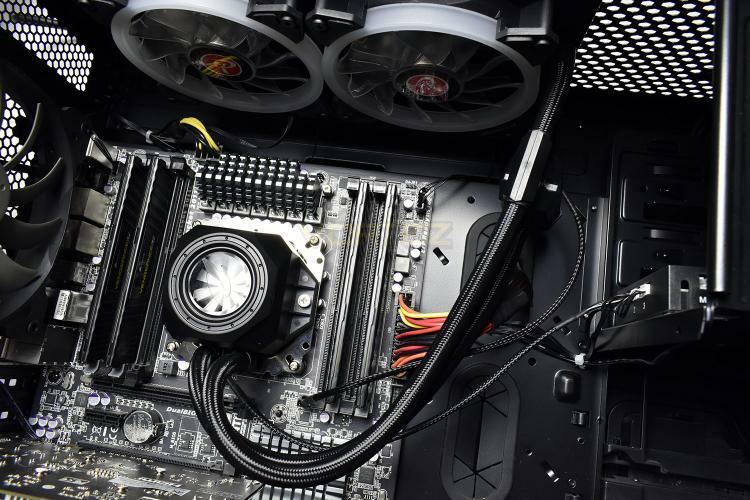 With the popularity and improved ease of use of all-in-one watercooling solutions, many companies now offer these in all different shapes and sizes – some a little more unique than others. Today, we’ve been provided with the Raijintek ORCUS 240, an all-in-one watercooling loop for your CPU, featuring a pair of 120mm RGB fans, an RGB CPU header and Teflon sleeved tubing. Something we’ve not seen before is the pump mounted on the tubes themselves, instead of being within the CPU head itself. We’ve not tested a CPU cooler from Raijintek for quite some time now, so we’re not sure of what to expect. Read on to find our verdict. ORCUS, RAIJINTEK’s evolution All-In-One liquid cooling CPU cooler, designed in Germany and made in Taiwan. With several years of experience in liquid cooling products and cooperation with global engineers and manufactures, RAIJINTEK’s RD team developed the concepts of most performing AIO CPU liquid cooler and spent years to design one of most user friendly and spot light product for enthusiasts.